Like most places, we go on our own, and where possible we take advantage of the hop on hop off buses, we find this is the best way to get around & see as much as possible. The 1st stop we got of was the train up the hill, we actually got got a combined ticket which saved us queuing for a while. 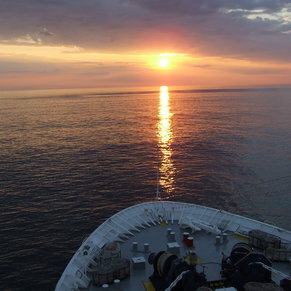 The views from the top are spectacular! The 2nd place we went was the world heritage site, the buildings there are stunning. We almost missed the boat as the bus returning was delayed! We made it, so it was all ok! Bergen was an awesome port. Very walkable and easy to get around on your own. We did not book an excursion. Bergen is a very rainy city. They get rain most days of the year so we brought umbrellas and light layers. It was a short walk from the cruise terminal down the main road and up a slight hill to the funicular station that takes you to the top of mount Floyen. The views were amazing from the top. There is a playground and some walking trails. There were friendly goats. Wear sneakers as the goats kind of roam free and the poop is heavy in some areas. There was a place for food and souvenirs as well as bathrooms. We did this first thing and were glad we did as the line to take funicular was all the way down the street when we came back down. We then stopped at a Starbucks that is deceiving as it looks like it is in a church type building. We visited the fish market just off the Main Street across from the wharf. We sampled cured whale and reindeer. They had all kinds of fresh fish and paella being made in huge pans that looked and smelled delicious. My son had and husband had reindeer hotdogs. We then visited the wharf area with all the shops up and down the wooden floored alleyways. We found lots of brand name outerwear at decent prices. The Christmas shop is three stories and we brought back some great souvenirs from this shop. We found a pelter who sold a ton of animal products like blankets and slippers and reindeer antler knifes and dolls. Hats and gloves and little magnets. His family owned the space and it has been passed down. In this part of the world it is not uncommon or illegal to have these goods. My husband brought back a pair of slippers and he loves them. We did go through customs and they were inspected and passed through. We also had papers to certify the origin of the fur used. We stopped in a shop along the side of the street where the wharf is and had a panini and some pastries which were all amazing. Locals were very friendly. Would visit this port again. Amazing port sun been shining all day old town has lovely quaint shops. Walk to the floibenen And take the train to the top Of the mountain. Get there early would be my tip. The lake with fountain is beautiful. Great place love it. Walked from ship to Funicular, lovely walk through town and market as we didn’t let the rain spoil our day. 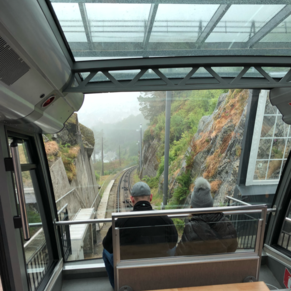 Funicular is a must, fabulous views, even in the rain, from the top with nice gift shop, restaurant and other facilities. Only takes about 6 minutes to travel up and you can stay as long as you like and return back down. We took a pretty pricey taxi to the Stave Church and were very happy to have done so. There's a nice walk to the church and while it's a reproduction it is nonetheless remarkable. We also took the tourist train here because we didn't want to wait 2 hours for the funicular, nor did we want the hop on hop off. the little train has a lookout stop and it suited us fine. We walked back to the ship along the harbour and enjoyed the old wharf. It was really fantastic. 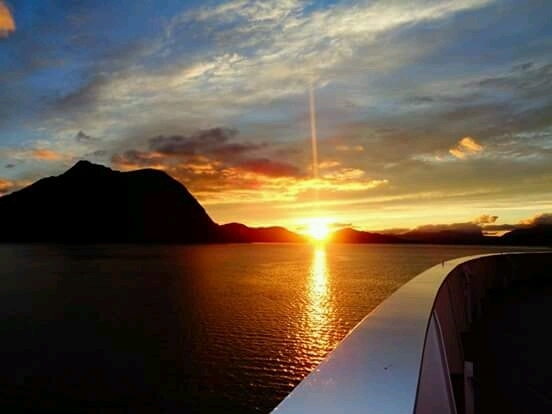 3 of 5 shore excursions in Bergen, Norway. 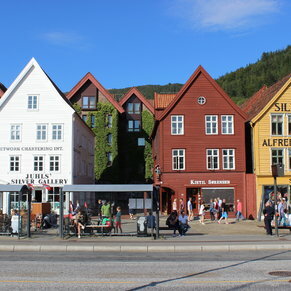 There are currently 4 discussions about Bergen, Norway.